Angles JM, LJ Kennedy, & NC Pedersen. 2005. 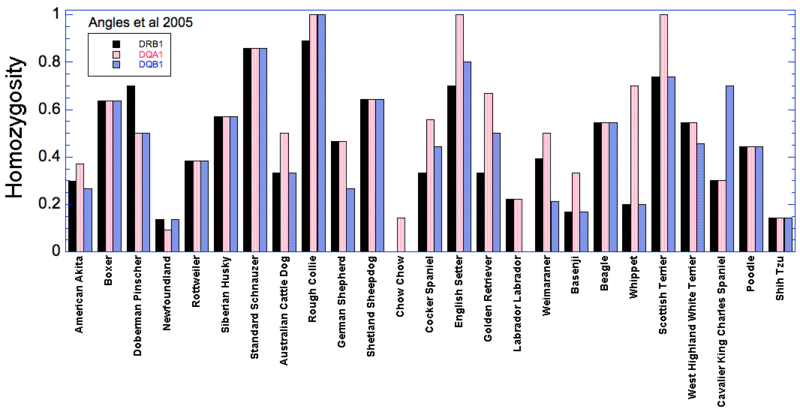 Frequency and distribution of alleles of canine MHC-II DLA-DQB1, DLA-DQA1 and DLA-DRB1 in 25 representative American Kennel Club breeds. Tissue Antigens 66: 173-184.